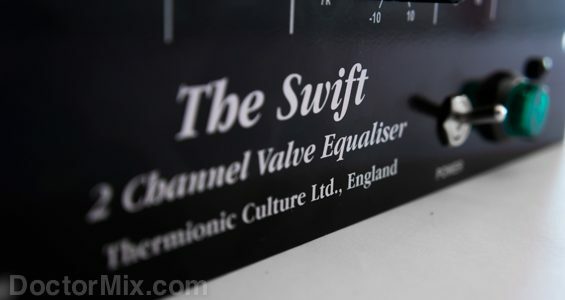 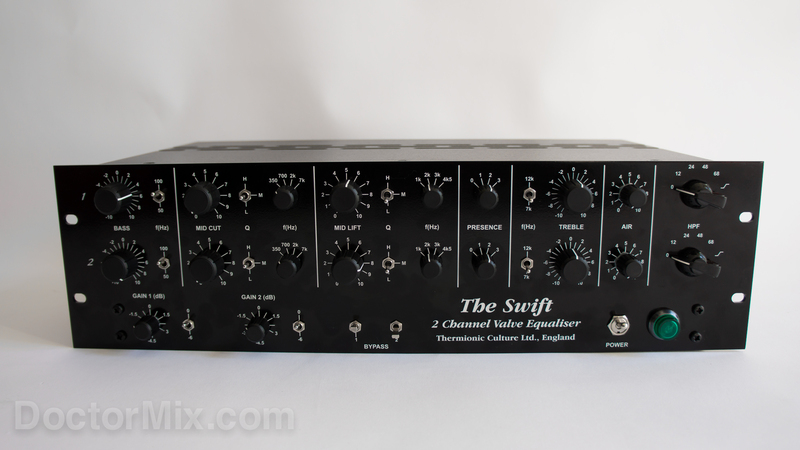 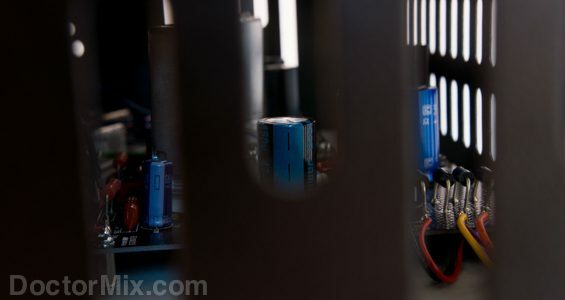 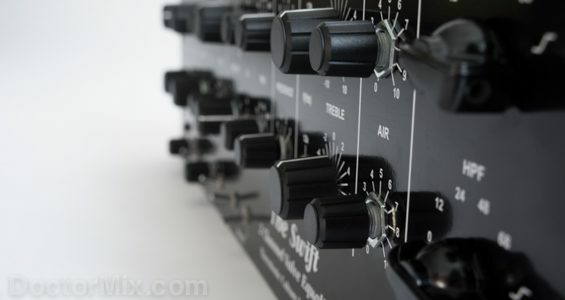 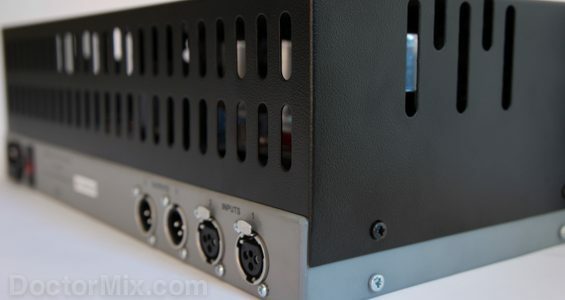 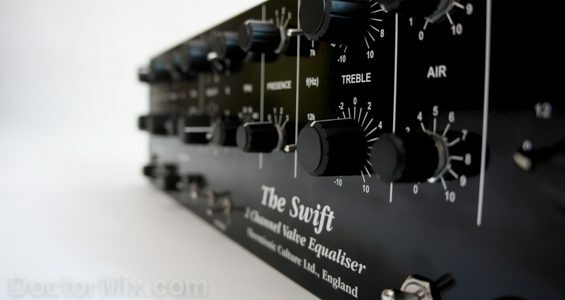 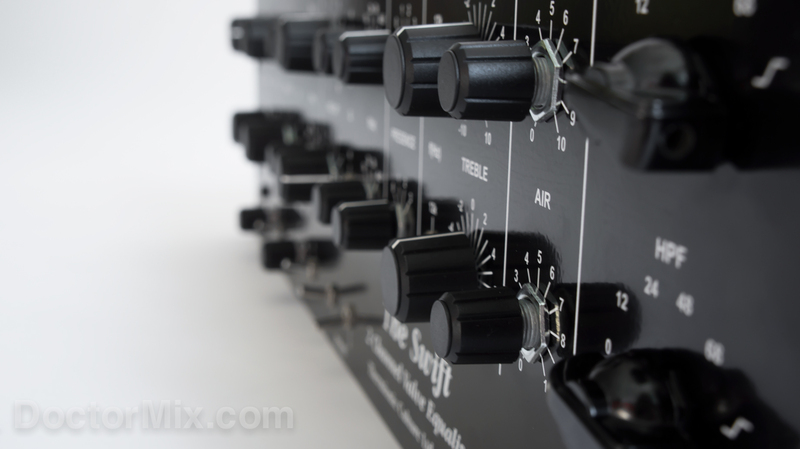 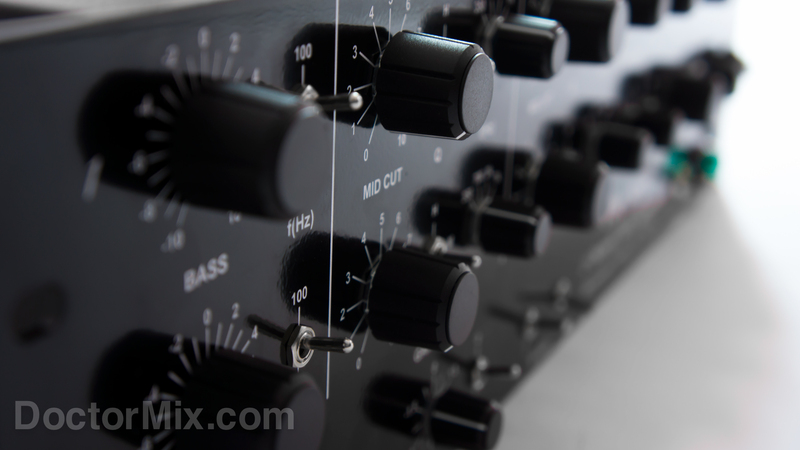 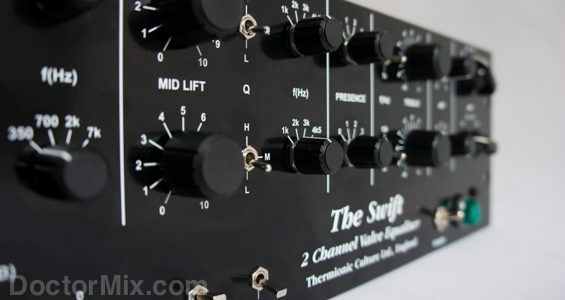 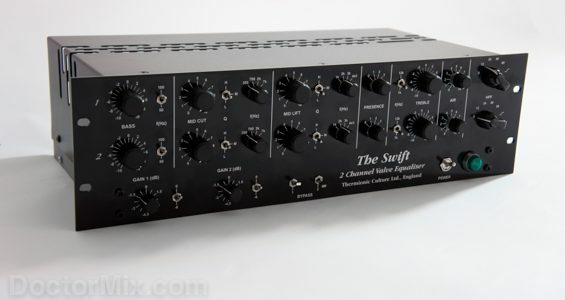 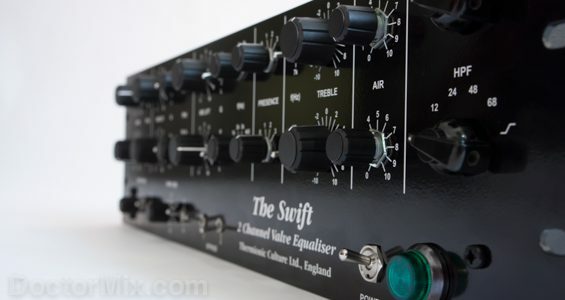 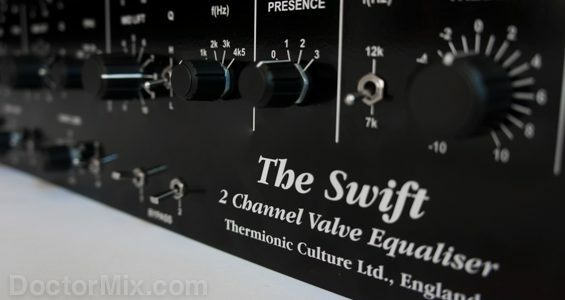 The Swift is a two-channel valve equaliser from Thermionic Culture that it combines circuit design derived from the famous EMI Redd desk and the Pultec equaliser. 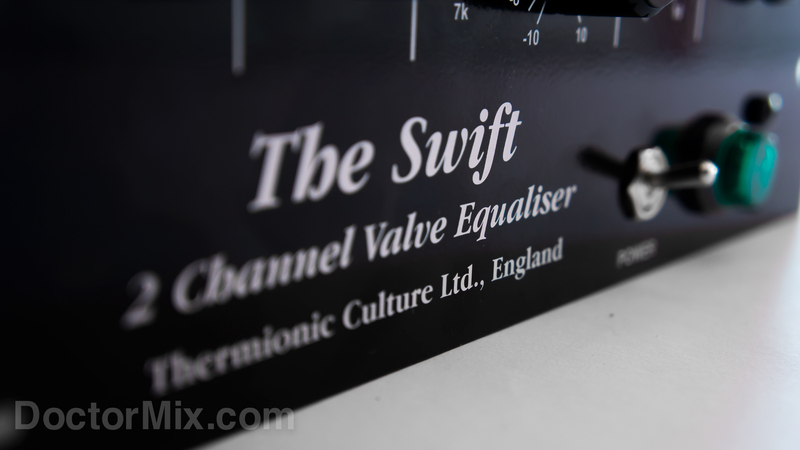 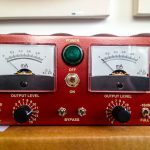 As you would expect from Thermionic Culture this is an all-tube unit, handmade in Britain, built like a tank and designed for excellence. 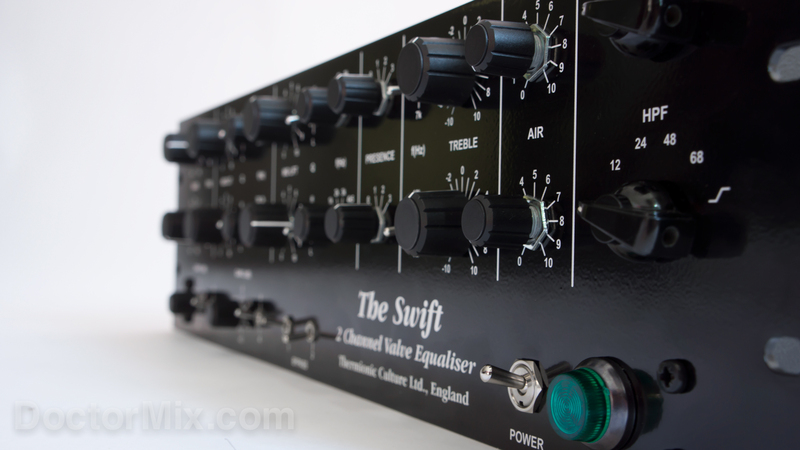 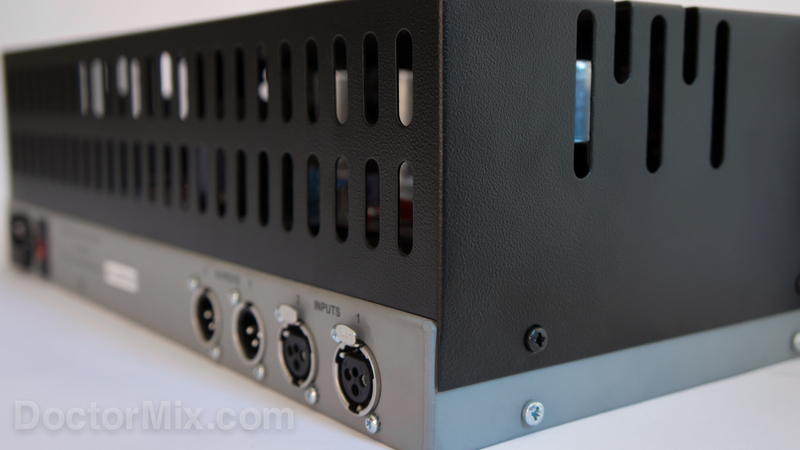 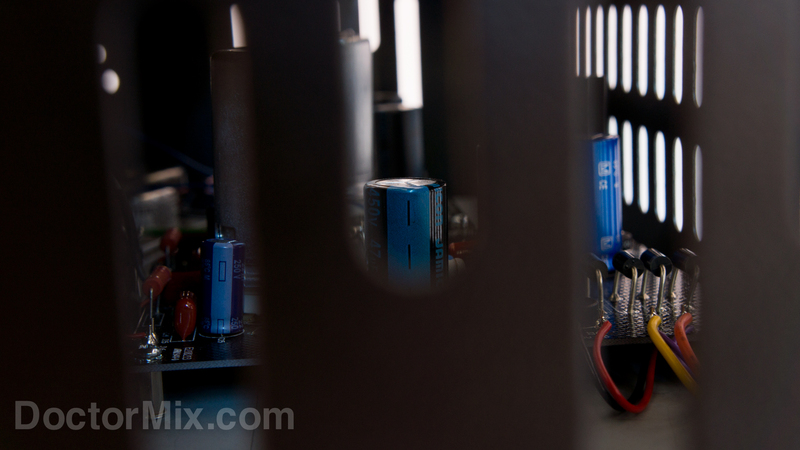 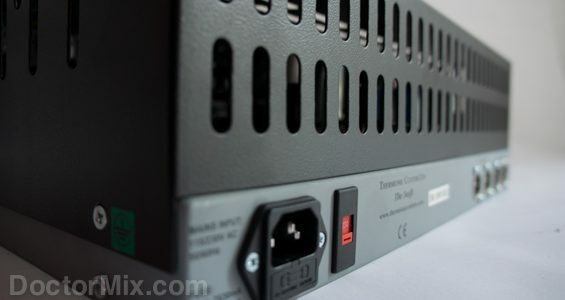 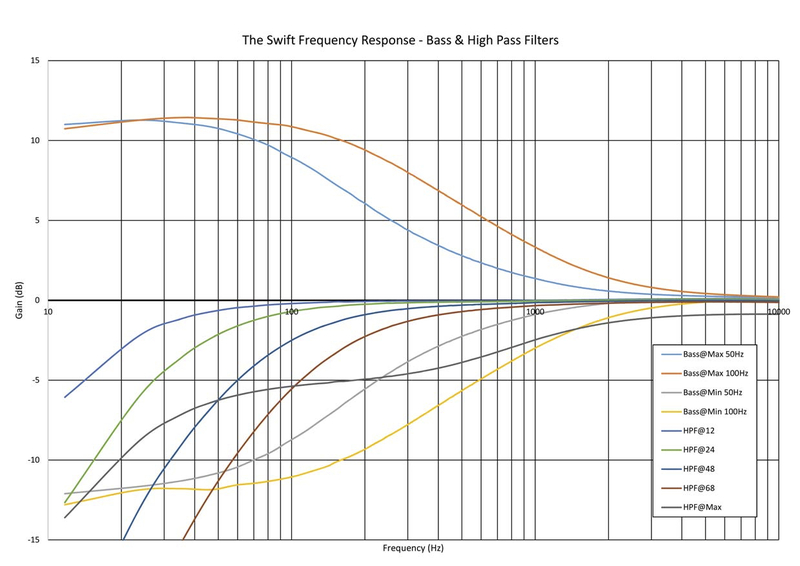 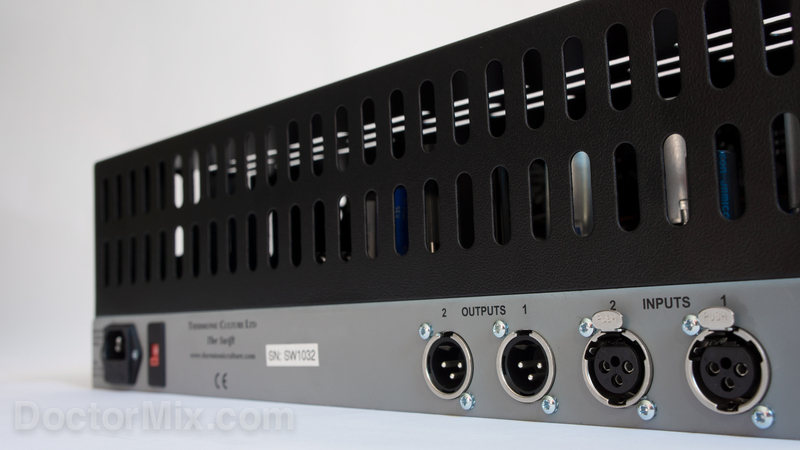 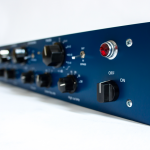 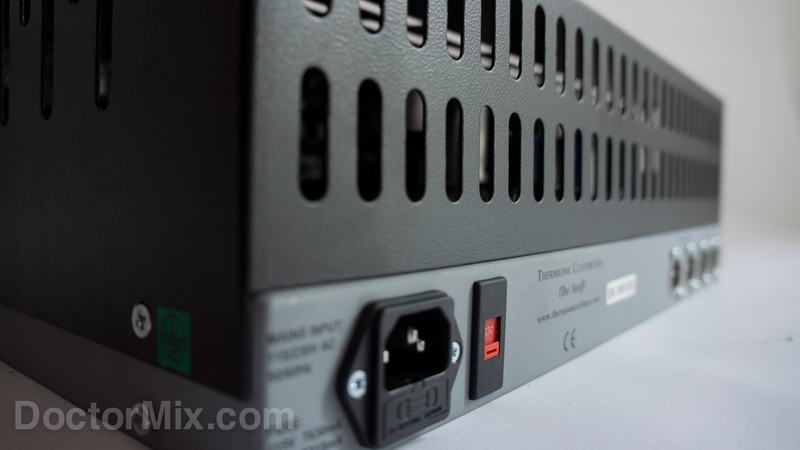 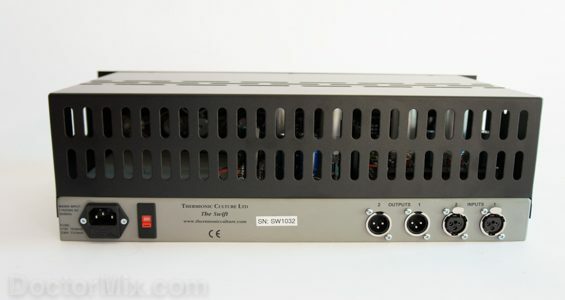 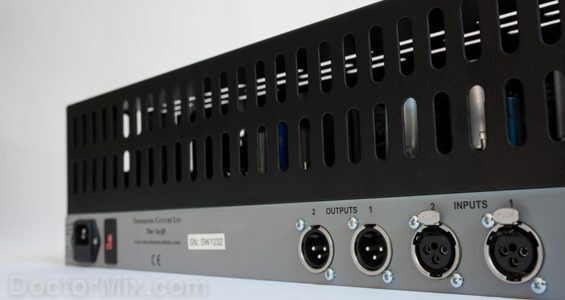 The Swift also has independent gain controls for each channel, 6dB attenuators, as well as bypass switches. 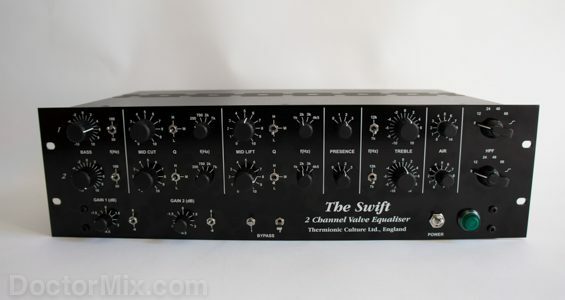 This unit is really intuitive to operate, it’s got plenty of controls and an impeccable phase correlation, which makes it perfect for both mixing and mastering applications. 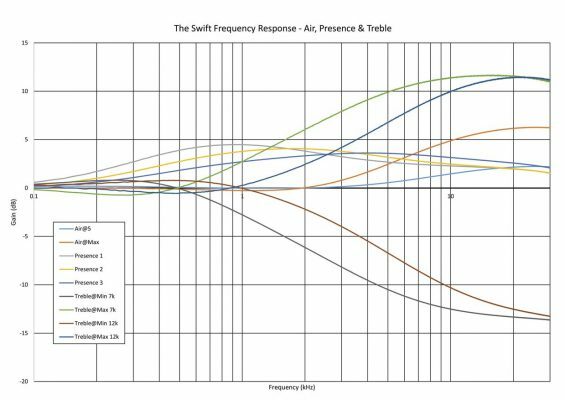 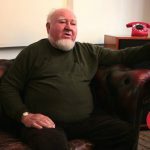 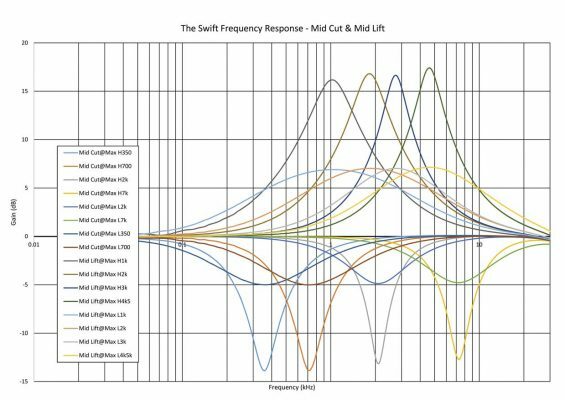 The unique presence control is unlike any EQ of this class: it’s great to increase the impact of vocals, guitars and drums, superb to augment perceived loudness, and free from harshness or artefacts. 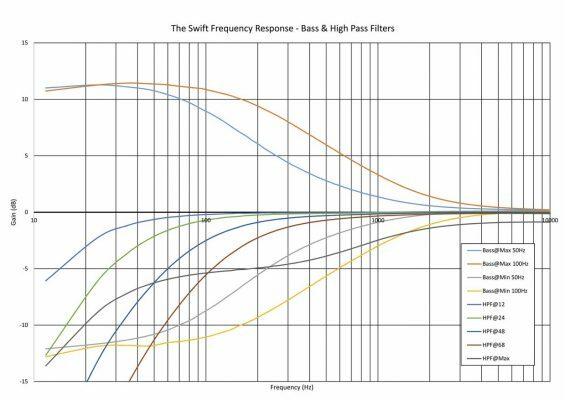 The high-pass filter works really well in conjunction with the bass control to obtain that famous Pultec EQ effect, where the low end can be boosted and be attenuated at the same time, to obtain a more compact and fuller bass. 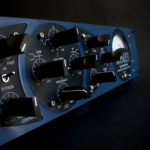 The air parameter is subtle, yet very effective for achieving that sense of shine on vocals, acoustic instruments and programmed material. 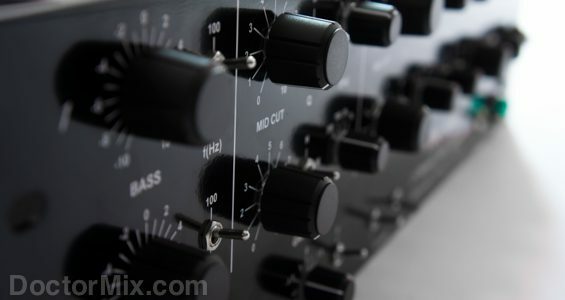 The level of distortion is amongst the lowest you can find on a modern EQ and the unit sounds overall very warm, natural and exciting. 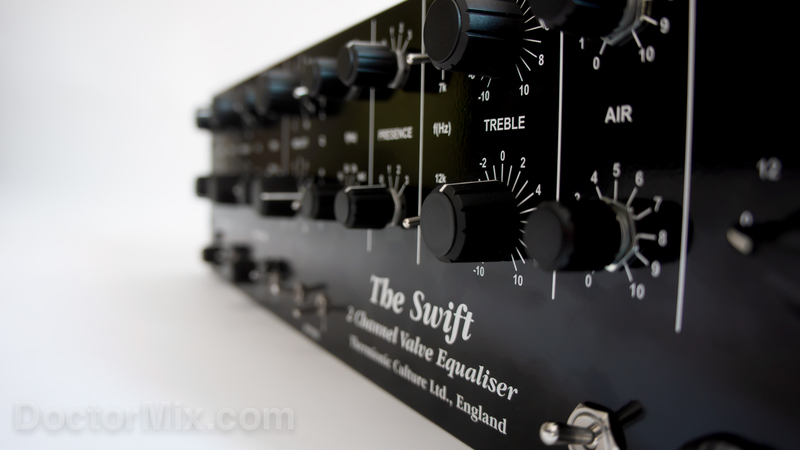 We have found it to work really well on an instrument and vocal buses, mix bus and when EQing for enhancement. 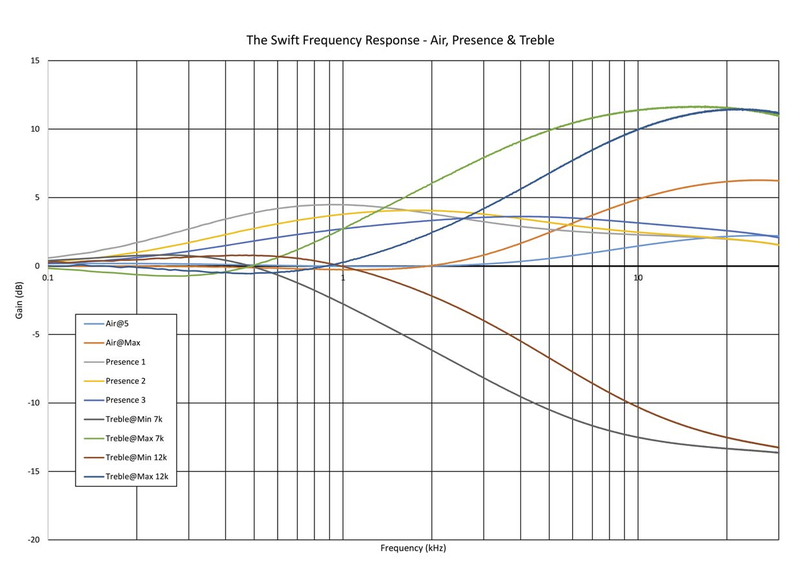 Frequency: selectable 50Hz or 100hz. 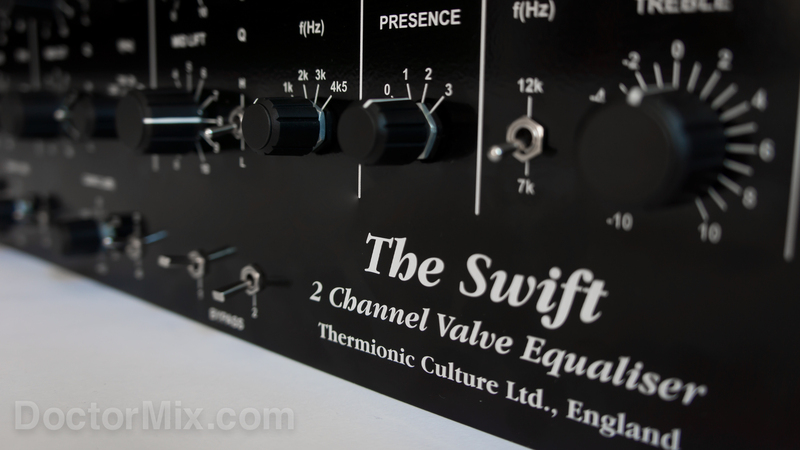 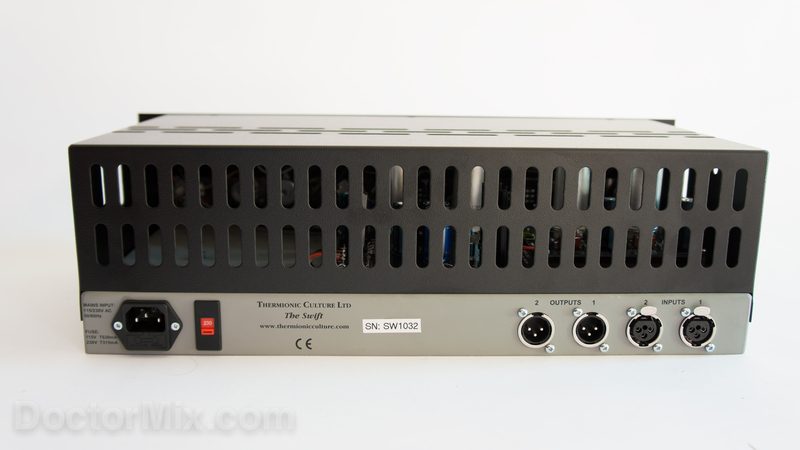 Download the Thermionic Culture “The Swift” User Manual in PDF format here.  Download the printable recall sheet template here.